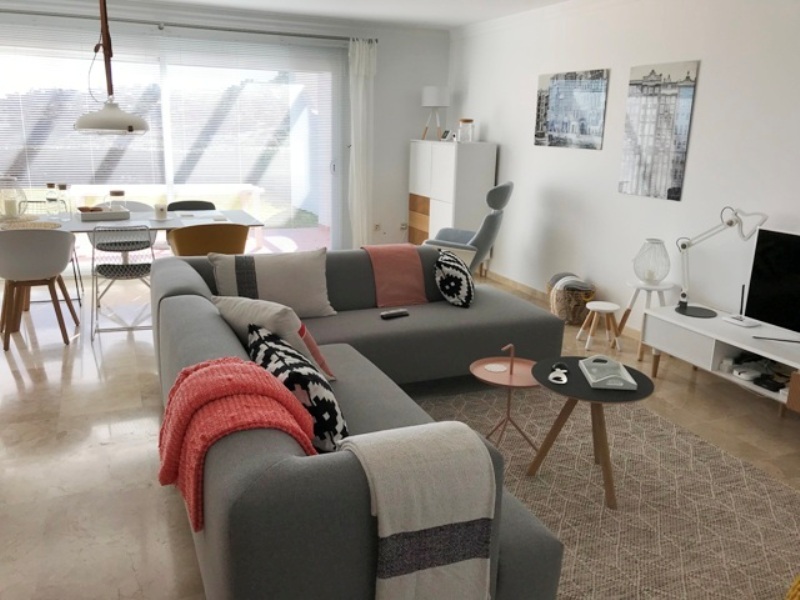 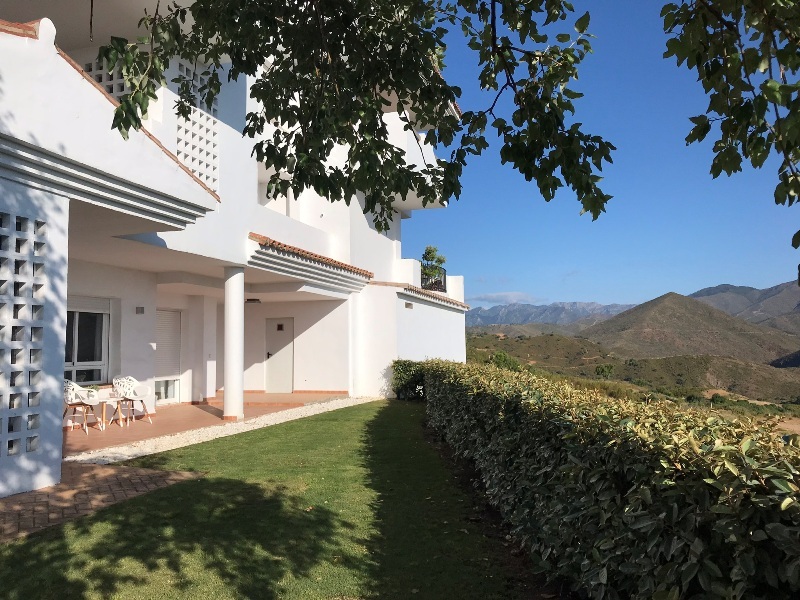 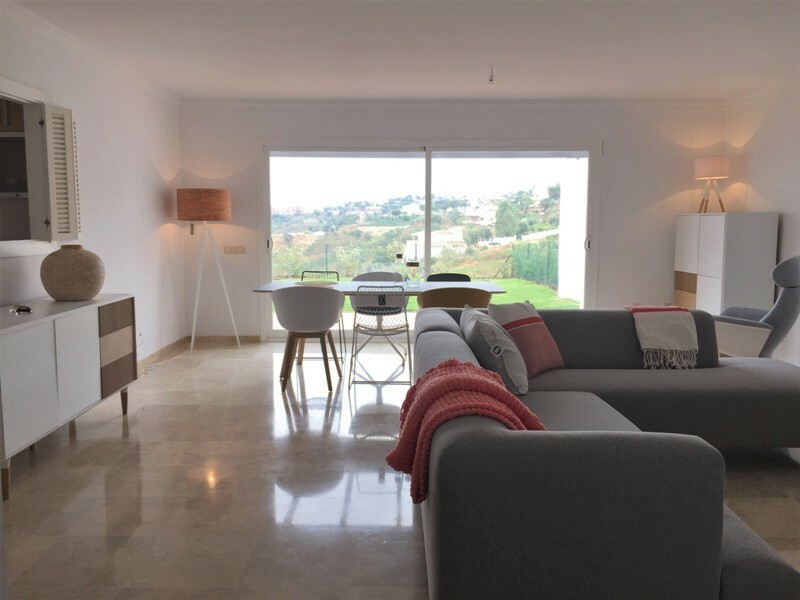 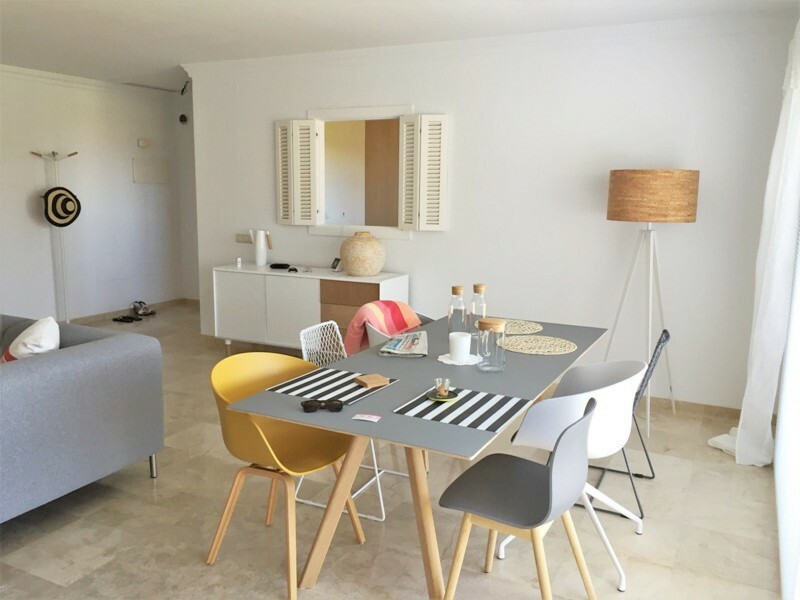 La Mairena Forest, 2 bed, 2 bath ground floor apartment with private garden and breathtaking views. 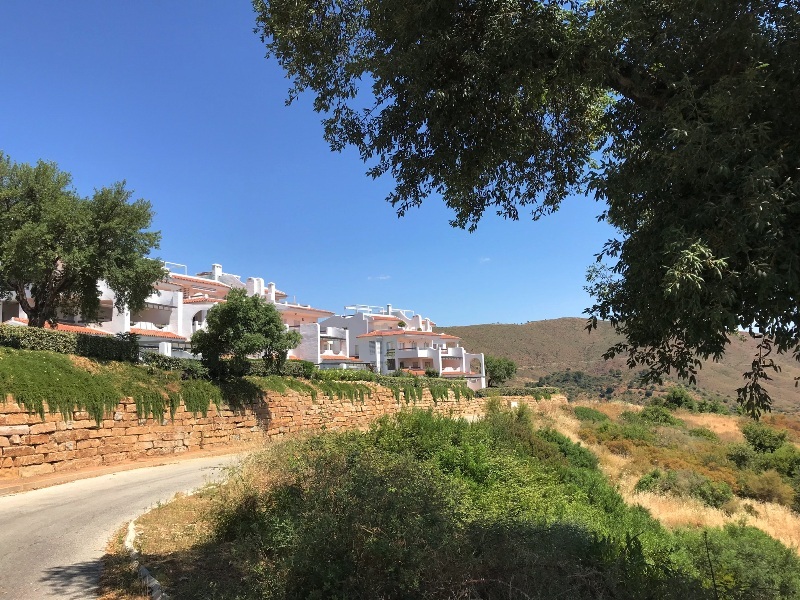 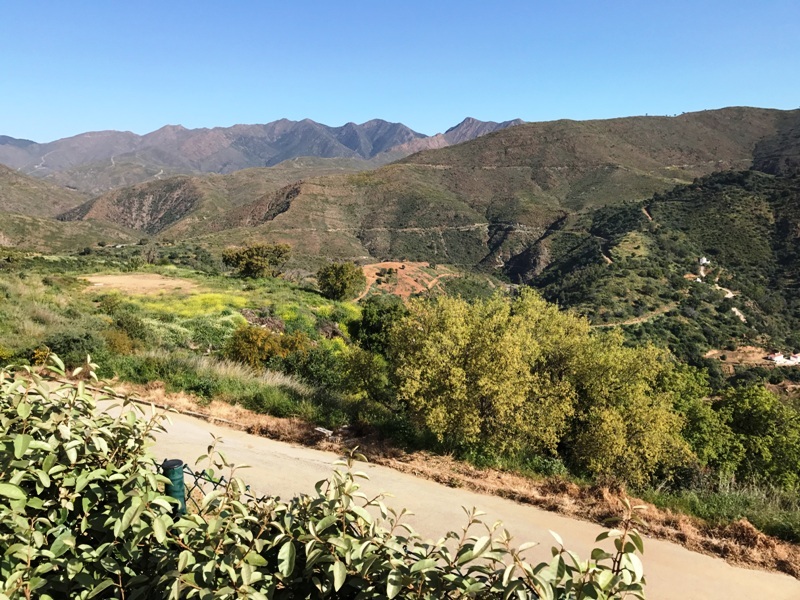 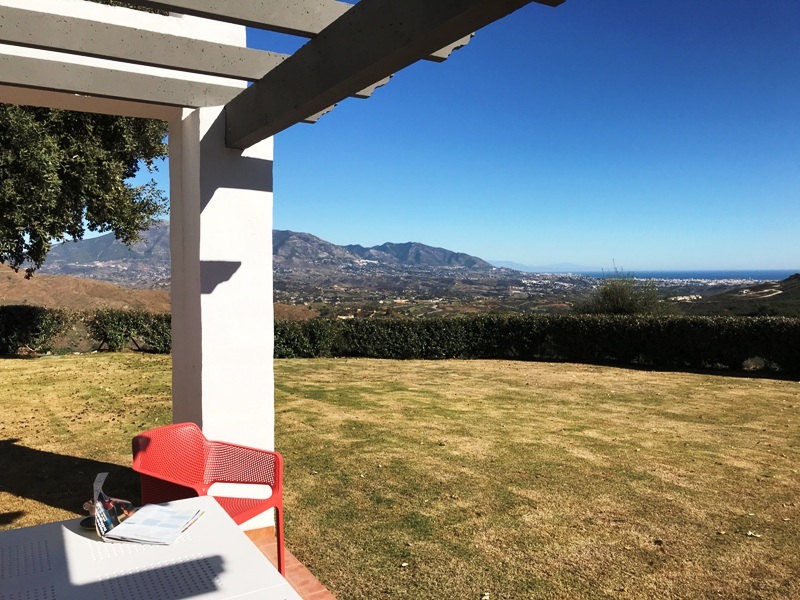 Located in the much sought-after area of La Mairena and close to amenities, shops, bars, restaurants and an International School, La Mairena Forest is surrounded by a vast green area declared by the UNESCO as a ‘Natural Biosphere Reserve’. 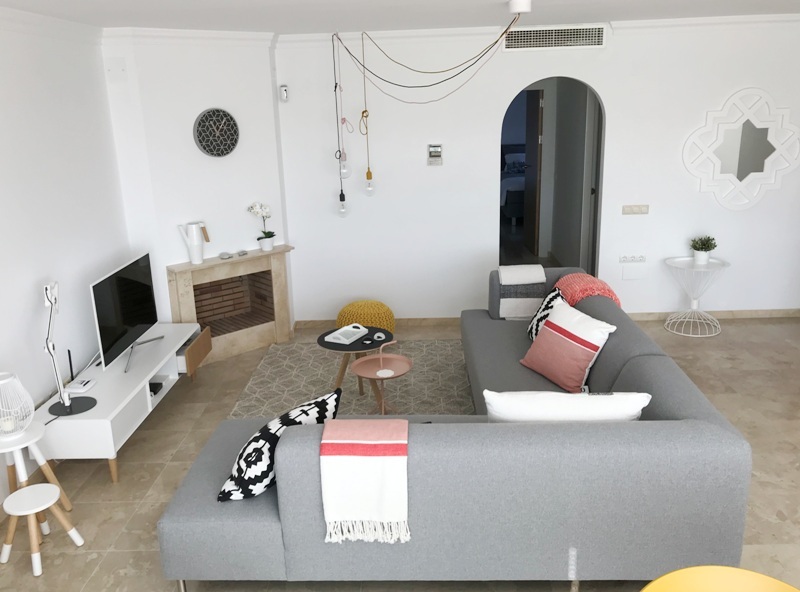 Even though, it is just a short drive to the beach, 20 min. 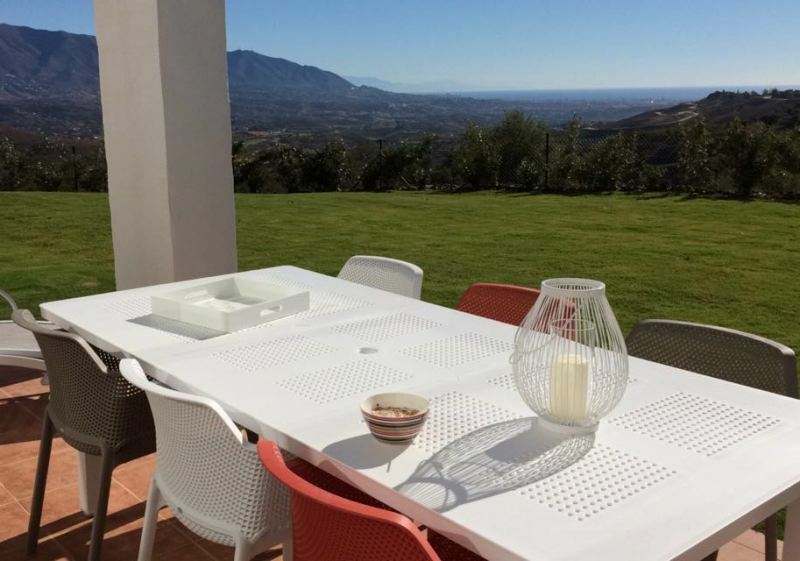 to the thriving city of Marbella and also close to Puerto Banus. 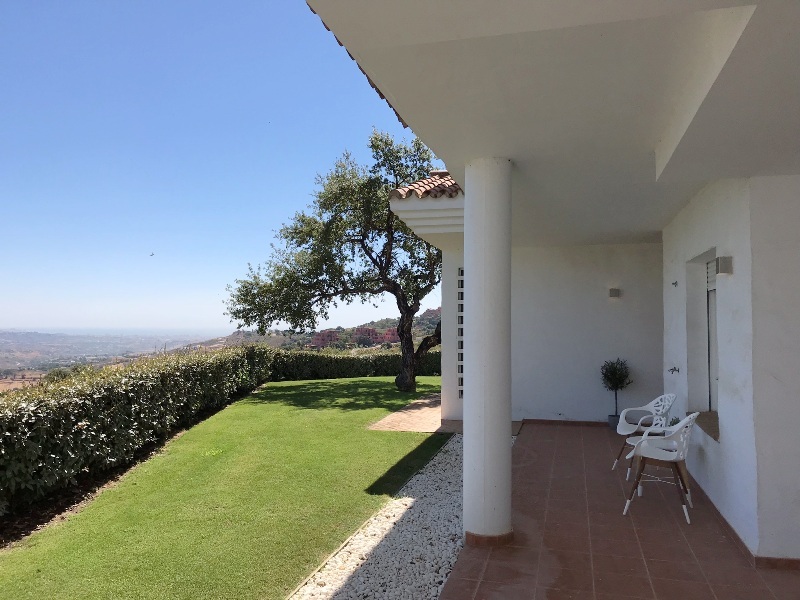 The Malaga International airport can be reached by car in 35 min. 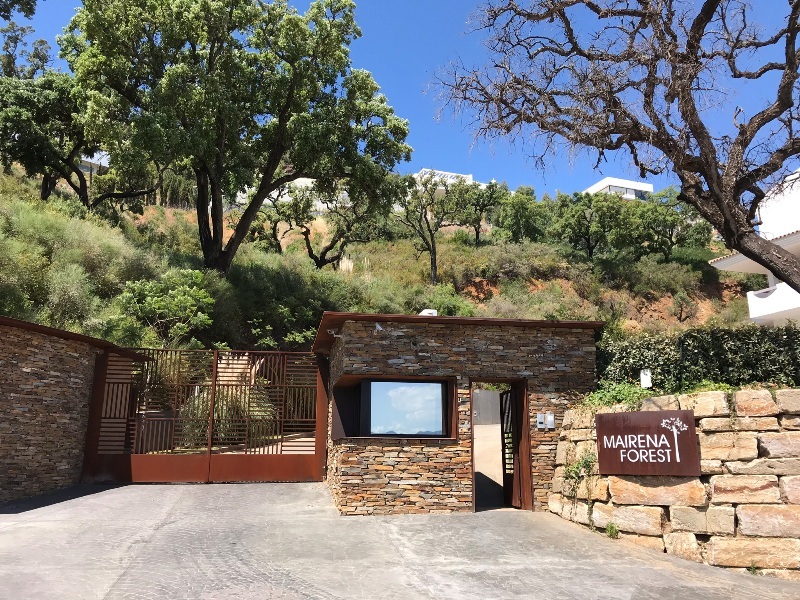 La Mairena Forest is a gated community with low rise buildings of luxurious apartments with 24 hours security. 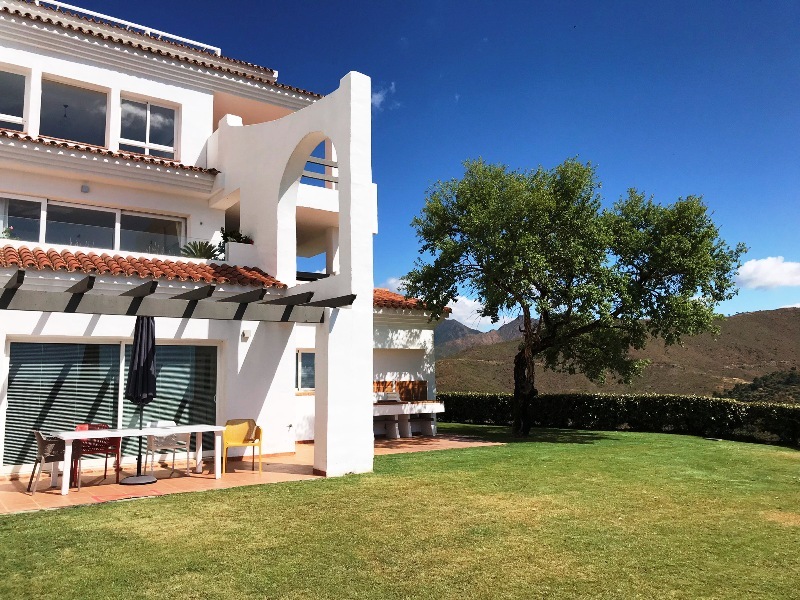 The exterior appearance is of traditional Andalusian architecture contrasting with the modern interiors and lay-out. 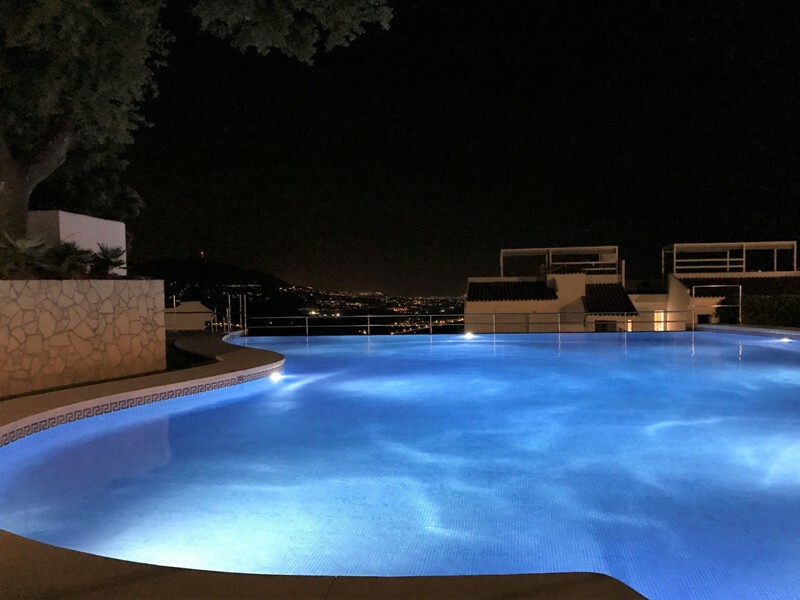 The complex counts a beautiful infinity swimming pool, a pool for toddlers, a green area for all day sunbathing and 2 saunas. 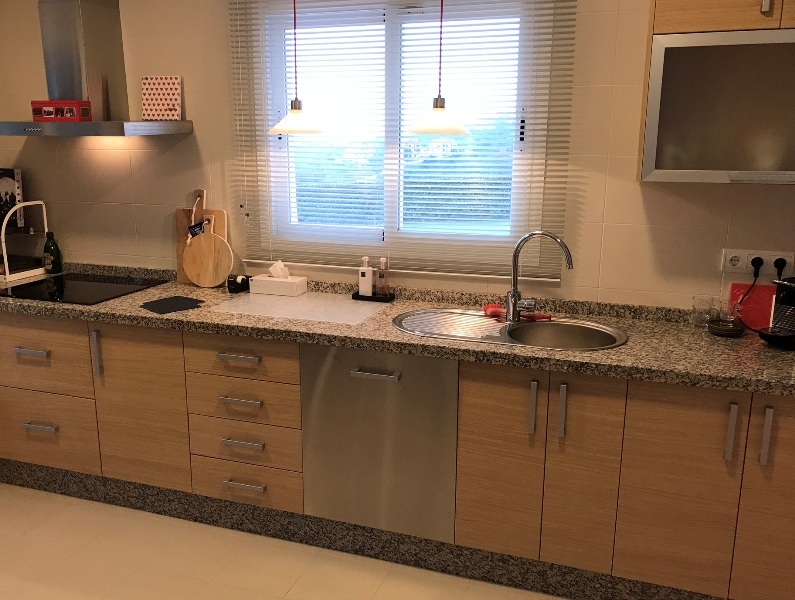 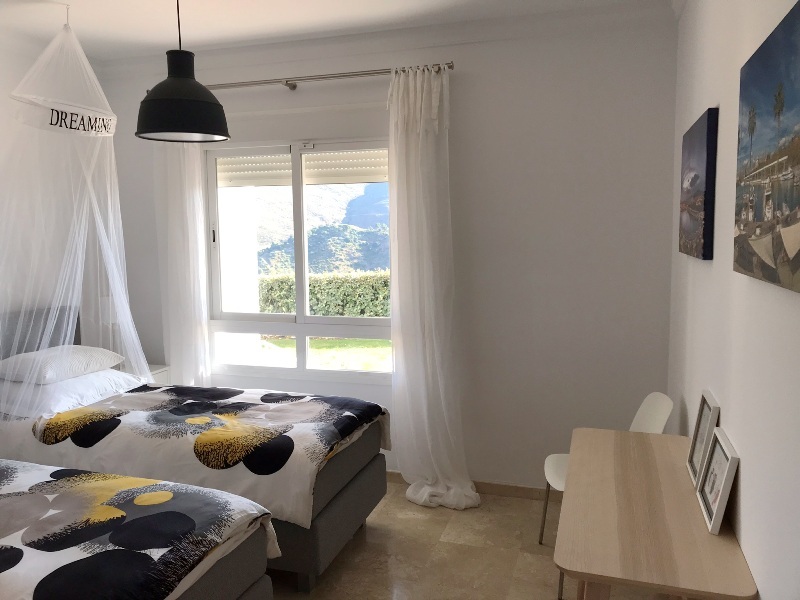 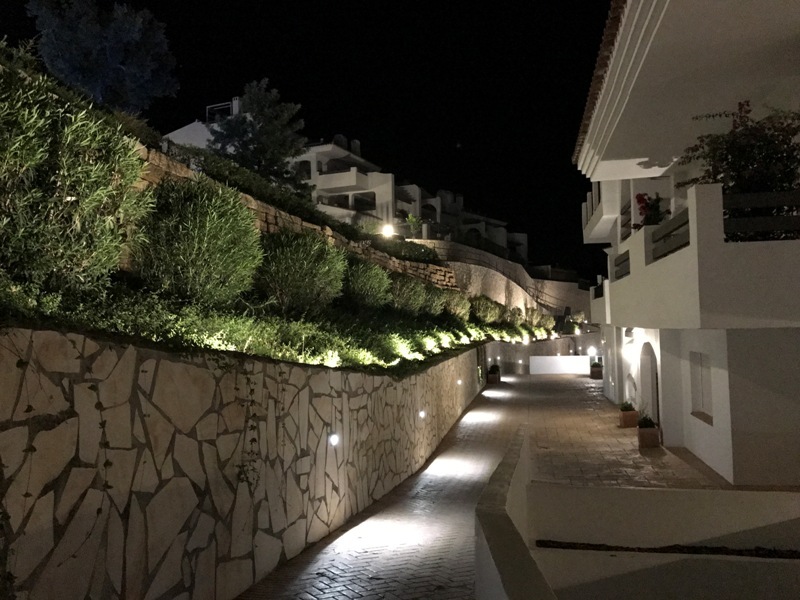 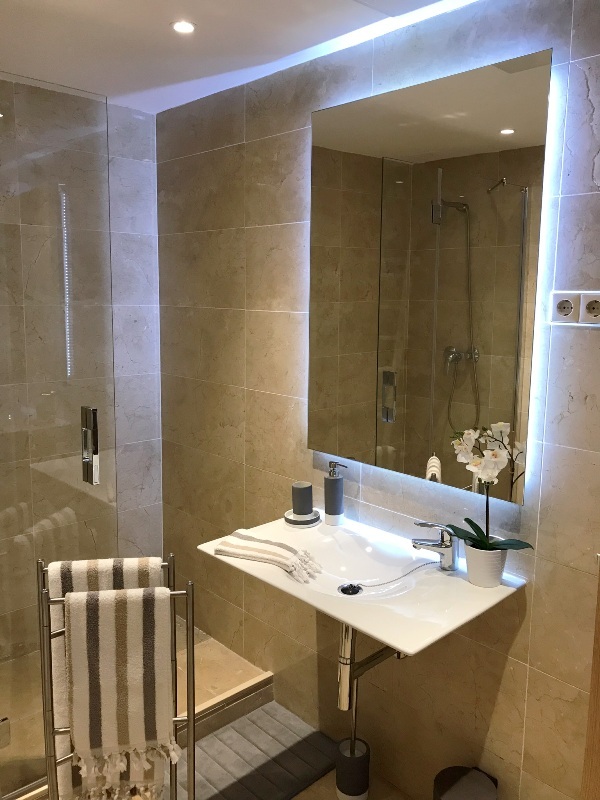 The apartment is situated on the very best spot of the complex; the most exterior corner facing a stunning mountain range and the vast green area. 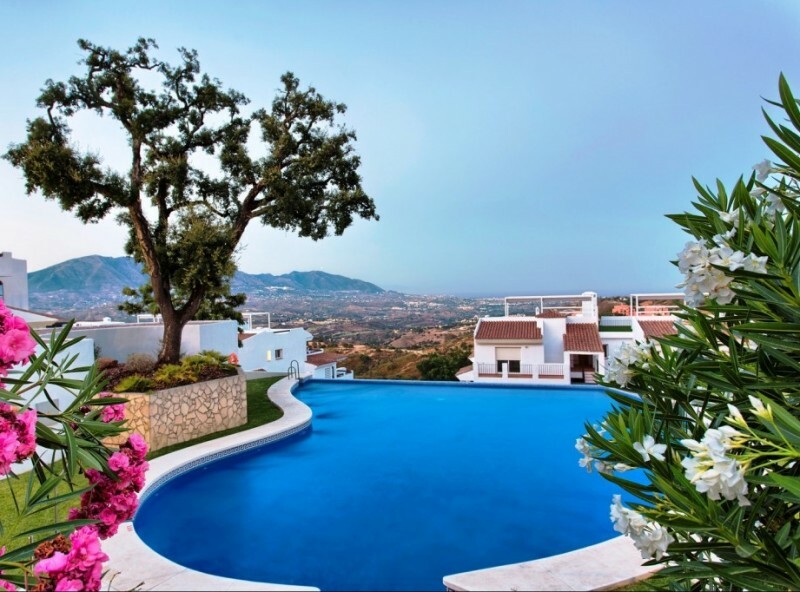 It offers breathtaking panoramic views over the surrounding valley and towards the beautiful Mediterranean Sea and coast. 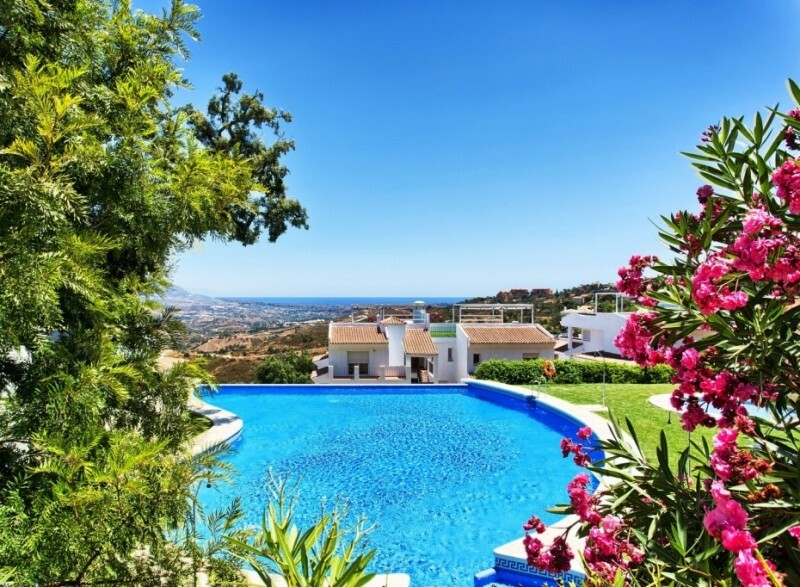 Peace and tranquility are guaranteed on this location as well as sunshine. 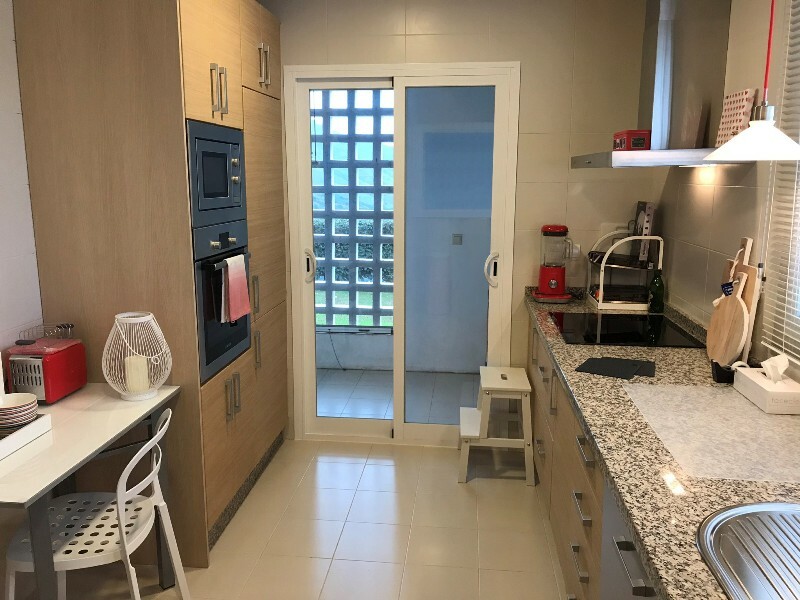 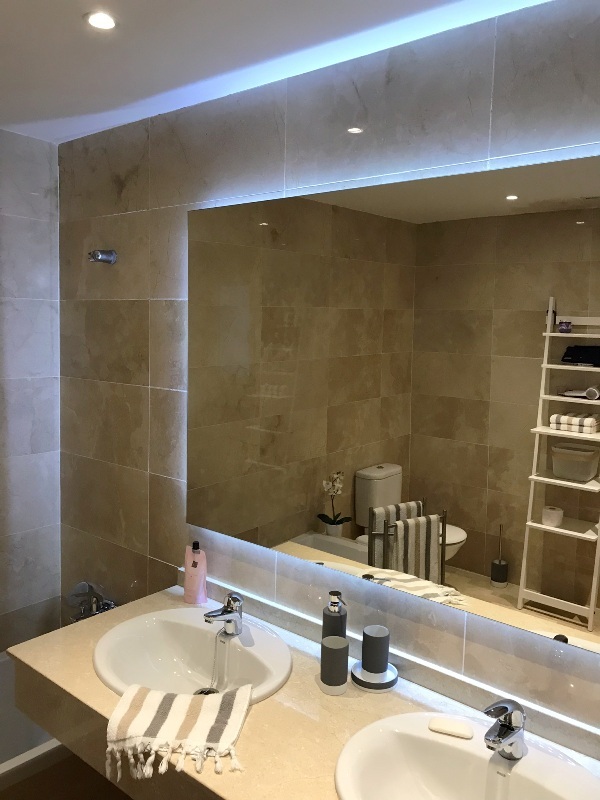 Built to high standards the property comprises: Entrance hall, bright and spacious living-dining, 2 double bedrooms, 2 bathrooms, a modern design integrated kitchen with Bosch appliances and a laundry / utility room. 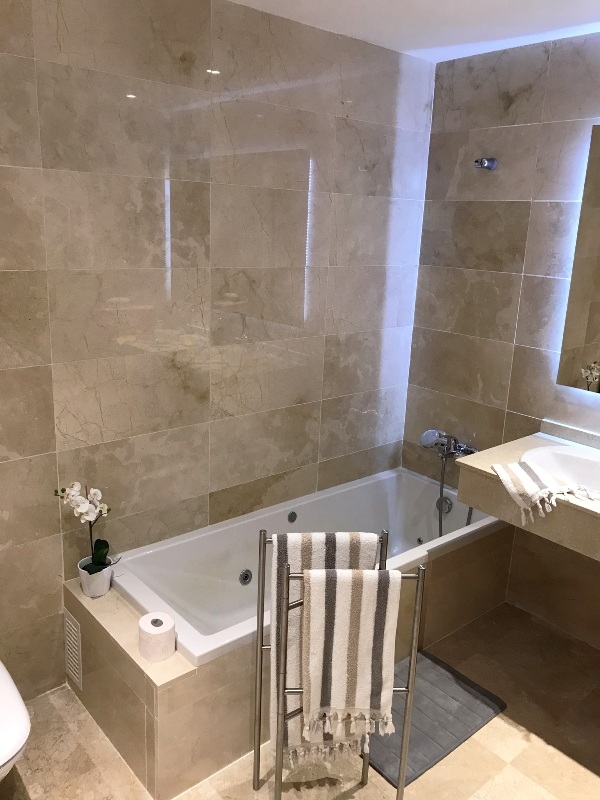 Other features include: High capacity Daikin air-conditioning and heating in all rooms, security system with remote camera control, fibre-optic internet / TV connection, beautiful marble bathrooms with hydro-spa bathtub and walk-in shower with fixed glass screen, mirrors with LED light fittings, built-in fitted wardrobes in the bedrooms, a cozy fireplace in the lounge, beautiful marble floors throughout and floor heating in both bathrooms. 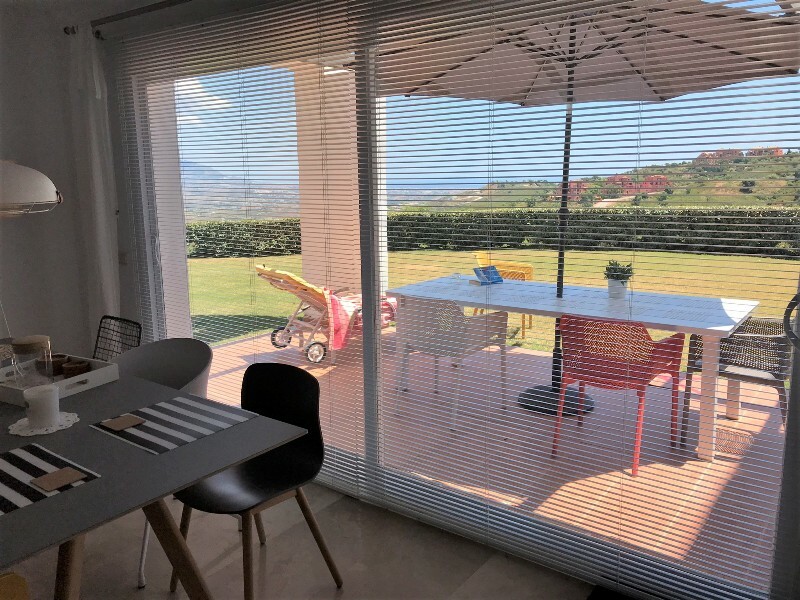 Terrace sliding doors with special quality double glazing lead to a spacious terrace with pergola, an outdoor kitchen, and the large private garden surrounding the property. 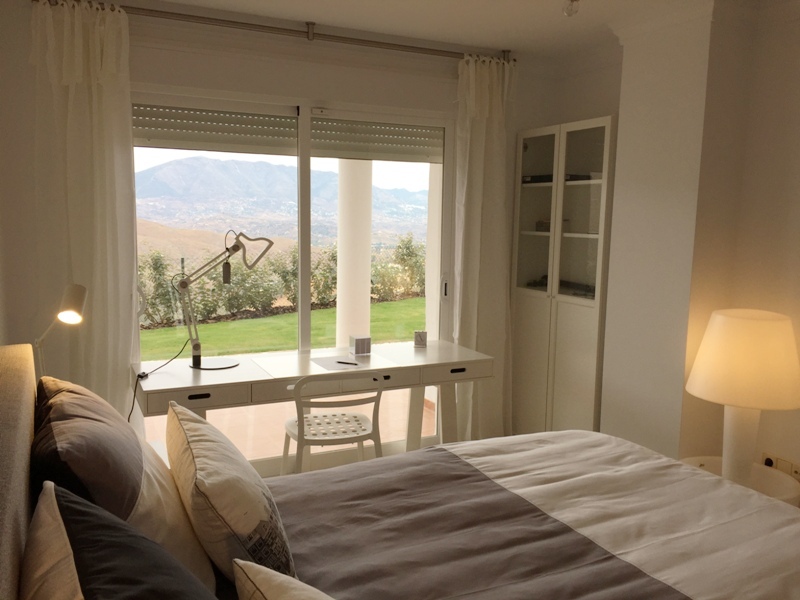 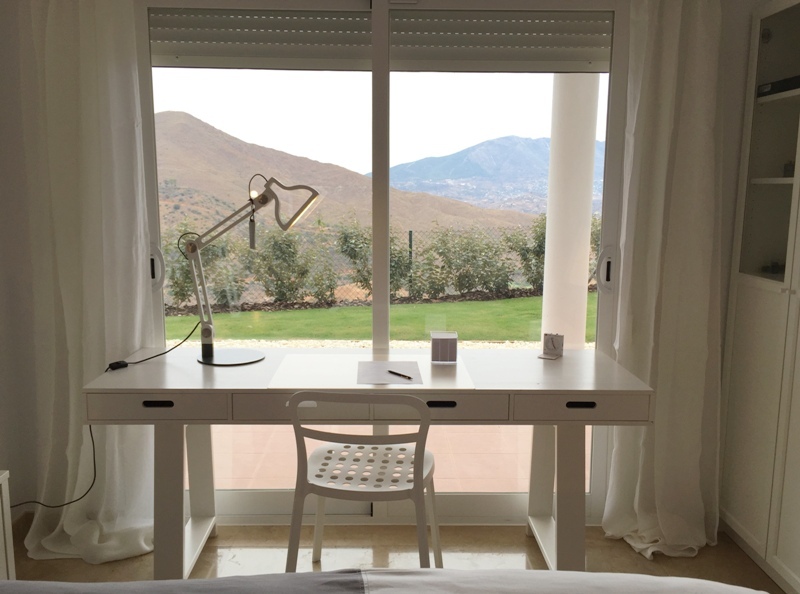 Adjoining both bedrooms there is a second (covered) terrace to enjoy the Andalusian landscape in all privacy. 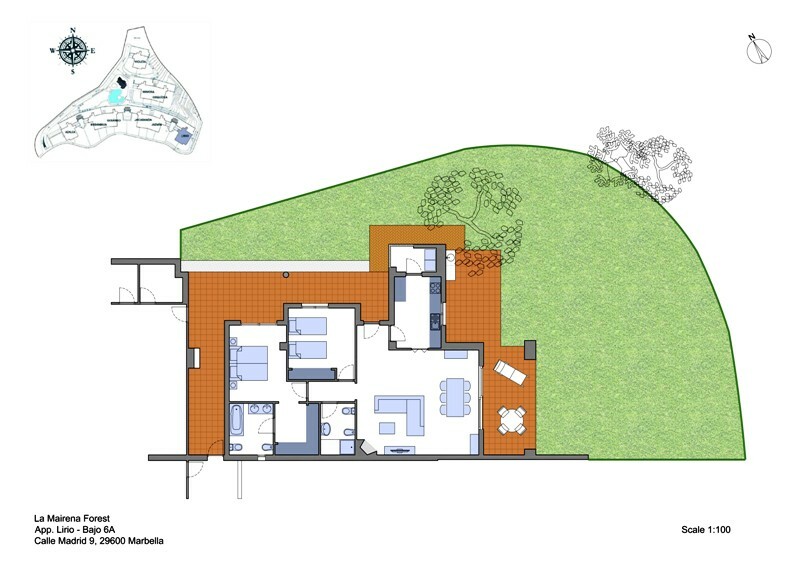 Integrated in the garden is an automated sprinkler irrigation system. 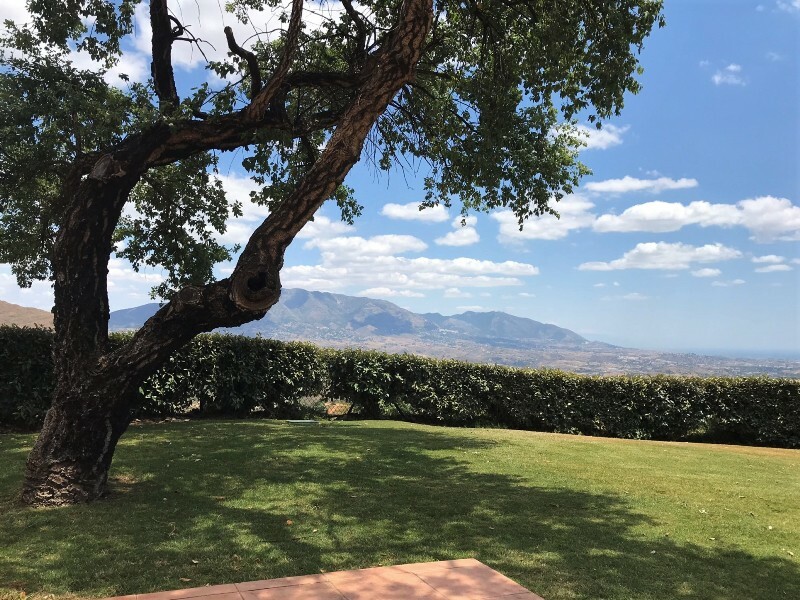 Check out the beautiful aged cork tree in your own garden! 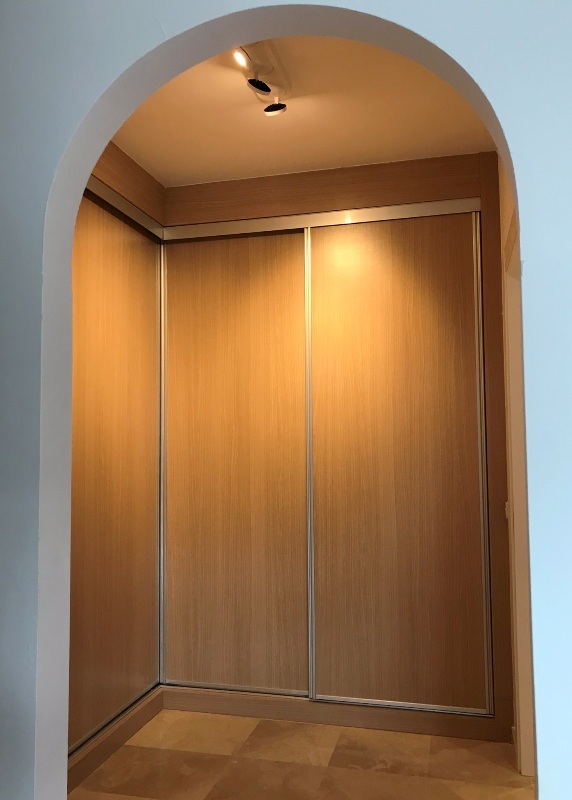 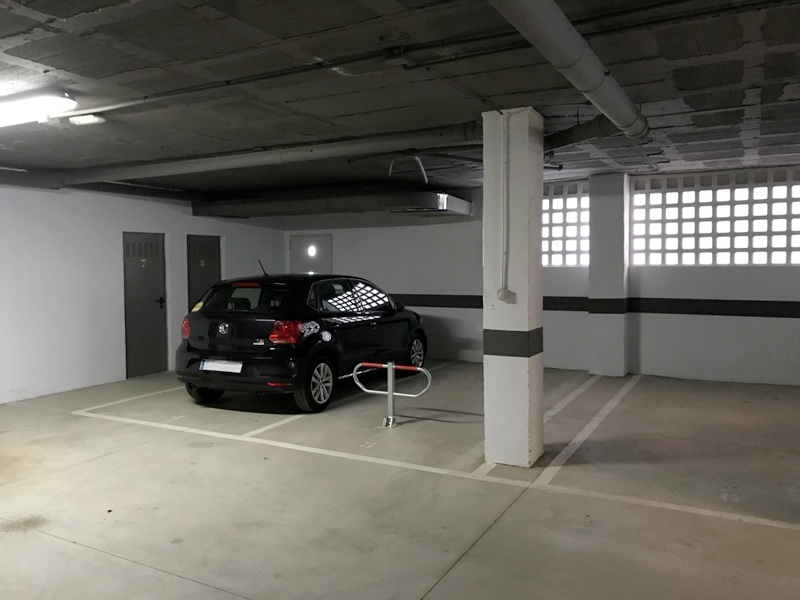 Included in the sales price are two private indoor parking spaces and a large storage room, directly accessible from your property through a private entrance.